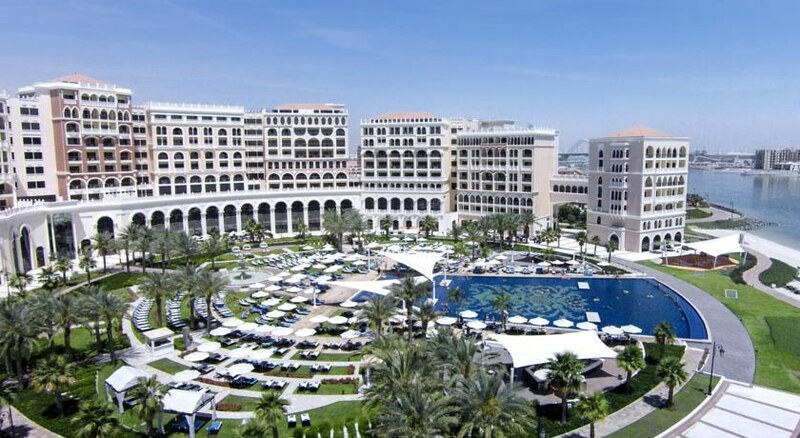 The Ritz Carlton Abu Dhabi Grand Canal located by the Grand Canal with access to a private beach, is one of the finest 5-star hotels in the busy metropolis of Abu Dhabi. With the city centre minutes’ away, lush gardens surrounding it, the hotel has plush rooms and excellent guest amenities such as a waterpark, kids' program, spa and meeting venues. The hotel is a top choice among those looking for relaxed city break whether travelling solo, as a couple or for business. Tastefully designed in Italian Renaissance while preserving the warm touch of Middle Eastern hospitality, the hotel is strategically located and offers ten amazing restaurants to cater to guests’ palates. 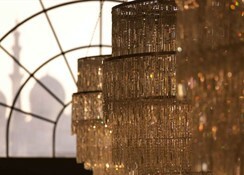 There is a 21,500sft spa in Bedouin style tents and an opulent hammam for a memorable stay. 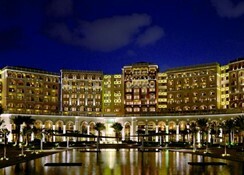 The Ritz Carlton Abu Dhabi Grand Canal hotel is located by the Grand Canal making it easily accessible to various shopping, entertainment and business districts. 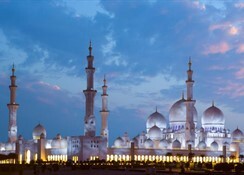 On foot the City Centre is just a few minutes’ away, so is the Zayed Grand Mosque. The Yas Island takes about 20 minutes to reach. 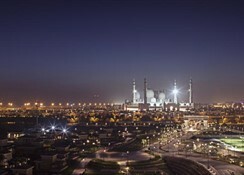 The hotel is 16.5km from Abu Dhabi international airport. The hotel has 447 elegantly furnished air-conditioned guestrooms which are equipped with modern amenities like an en-suite bathroom, Wi-Fi, a Nespresso machine, a dining area, a workstation, a mini bar, satellite TV, safe, telephone and a furnished balcony or terrace. Some amenities are chargeable. The Ritz Carlton Abu Dhabi Grand Canal is an epicure’s delight with as many as ten restaurants specializing in authentic flavours from around the world. The talented chefs create amazing delicacies using the freshest of ingredients. 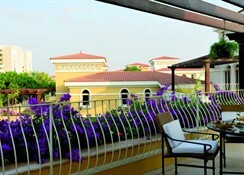 It also has several bars serving alcoholic and non-alcoholic beverages. 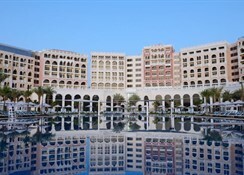 The hotel houses one of Abu Dhabi’s largest swimming pools surrounded by private cabanas and sun chairs. The hotel’s 21,500sft Espa Spa is designed in Beduoin style with access to a private beach. It has options for several relaxing treatments and includes a steam room, beauty/hair salon, a Hammam, and offers relaxing massages. There is a health club fitted with modern equipment for guests to work out.